Grab the Burton Kilo Pack for gear-gobbling storage and skate-carrying function that'll take your productivity through the roof. The hefty main compartment accepts a wide range of cargo, while the internal pockets are perfect for hiding, er, organizing the more sensitive parts of your work, travel, and school ensemble. Grab the Burton Kilo Pack for gear-gobbling storage and skate-carrying function that&apos;ll take your productivity through the roof. The hefty main compartment accepts a wide range of cargo, while the internal pockets are perfect for hiding, er, organizing the more sensitive parts of your work, travel, and school ensemble. Cushion your laptop in the padded sleeve, and easily access your skateboard or spare jacket from the front panel webbing if your business requires a quick getaway. Measurements 17.57quot; x 11.5" x 6"
Bought this bag for my son. He had seen it at another store but I wanted to surprise him with it. However, the store didn't sell it online and wouldn't ship. When we googled it we found it at Bob Ward's $20 cheaper! Exact same bag! 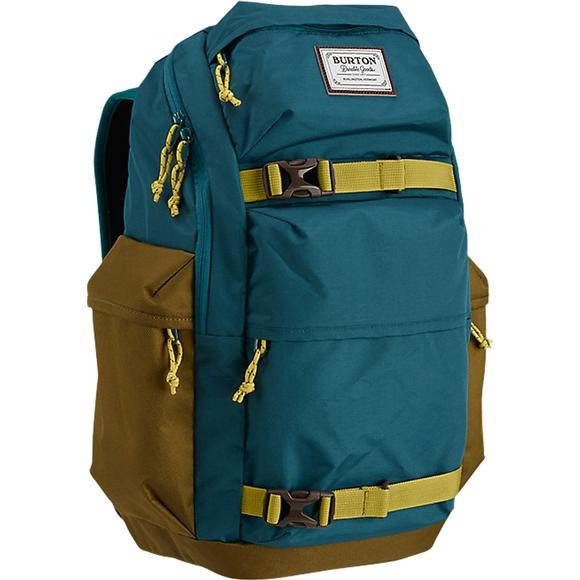 It is Burton so it is made well, has great storage = a great bag! AND I got it at a great price on this site! Great product, and incredibly fast shipping, they were the only place who had what I wanted in stock and were able to ship for a low rate! Very pleased with my product!